Although the winter has hit us there is no reason forget about football. With the collection Nike Look of Football you can stick to the footy style, even if it is cold and grey outside and theres not much football on the programme. We have mentioned it on many an occasion lately, and now there's really no getting around it. The winter has hit our part of the world and there is no more football on our beloved natural grass pitches outdoors. Anyhow, there is no reason to be in a bad mood. 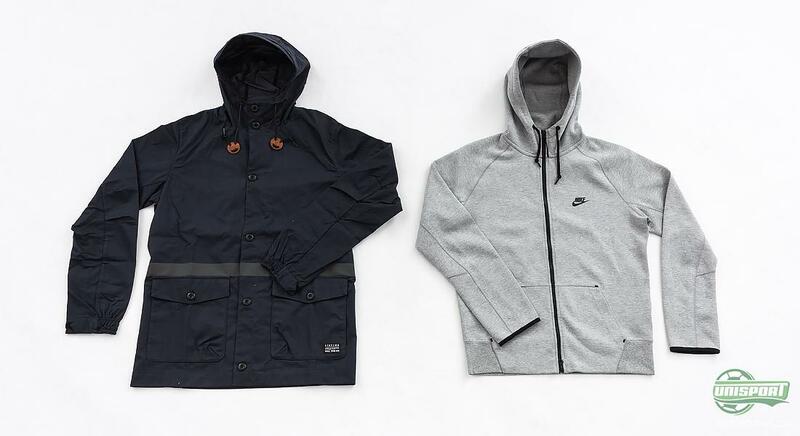 Nike have launched a full collection with cool clothes that is not only functional, but also displays the special football style, something we very much appreciate. If you are looking to be well dressed in these colder times with dropping temperatures, there is no getting around a jacket. Nike have taken to the lab to develop a jacket that is both fashionable and is able both warm and comfortable to wear. 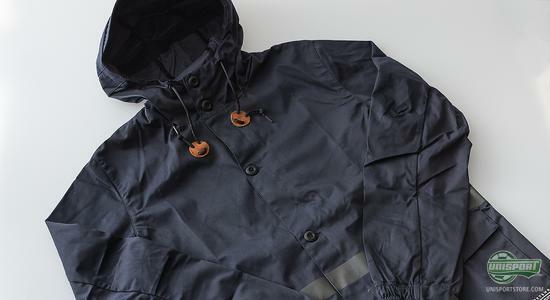 The result is this Nike Saturday Jacket with a soft cotton lining, and yet is still durable and handles both wind and cold. 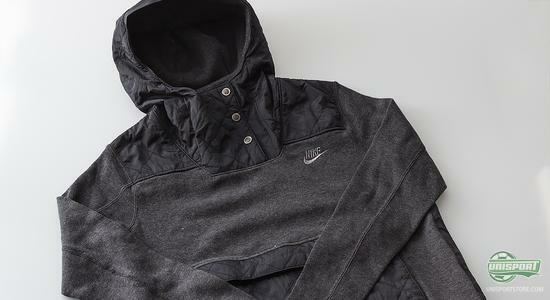 If you are the type of person who starts to feel cold as soon as the temperatures starts to drop, then it is surely not a bad idea to look for a fleece shirt, and Nike have not forgotten about the people feeling cold for this collection. The Nike Tech Fleece is the shirt that you want for your daily struggle with the cold, without compromising your football look. If you don't think that the fleece shirt and a jacket will do the job alone, you can go full on and take on the cold with a strong and warm combination of the two. Both the jacket and the fleece shirt are stylish and elegant, and stick to the simple colours. Hereby, you can be well prepared for the cold, and still keep the look of football, and let people know what sport your represent. If you are out at your local stadium watching a match if can easily become cold, at least if you are not wearing the right gear. 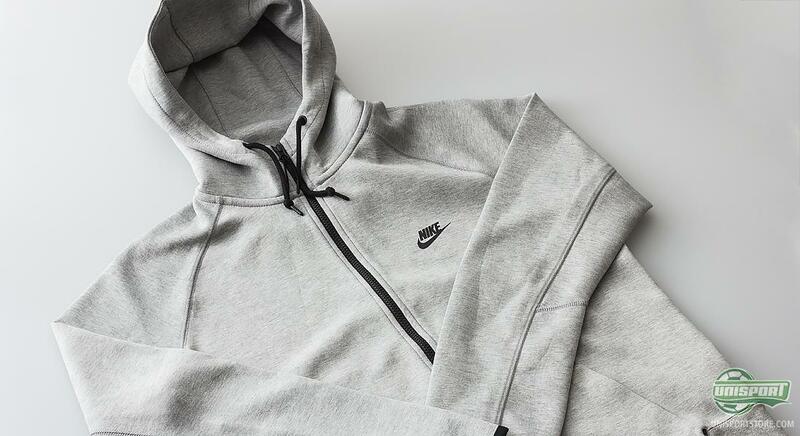 This Nike hoodie is made for you to quickly pull over your head when your body starts to struggle with the cold. 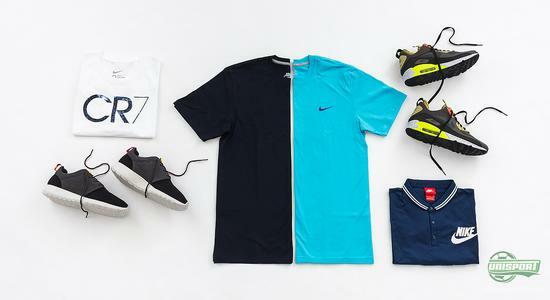 It comes with the well-known Nike quality and the iconic Nike swoosh on the chest. You have a number of options in order to keep warm outside, another alternative is also just to go inside. As a part of the collection, Nike have developed some t-shirts that are both elegant and fashionable,, as well as comfortable to wear. 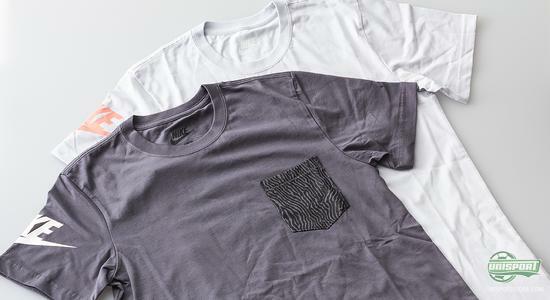 These two Nike t-shirts display the simplistic design including a nice pattern on the chest. 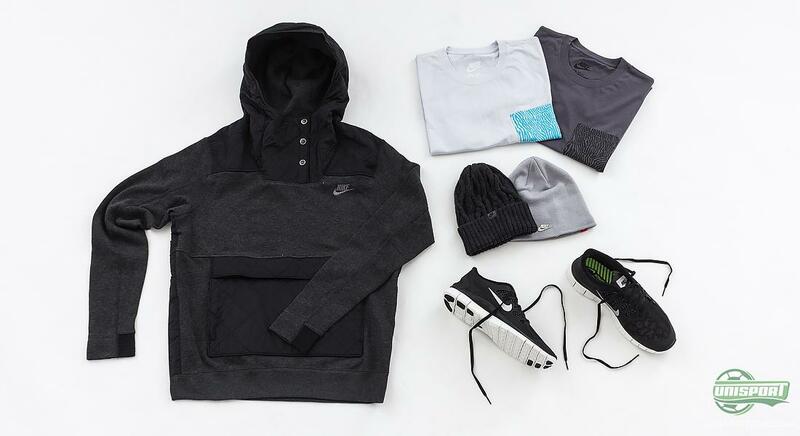 If you are looking for the complete look, then you may wanna consider the combination of the super nice t-shirts, the elegant hoodie and throw in some Nike beanies while you're at it. If you are looking to add a twist of freedom and moveability you can go for the Nike Free 5.0 and you definitely well dressed. Shoes should not be forgotten, and neither is there a reason to when Nike delivers a range of different but super nice shoes, which is display football and an active lifestyle. If you are looking for a light and natural running shoe, then the Nike Free 5.0 is spot on; are you more interested in an elegant everyday sneaker then the Nike Roshe Run is definitely worth looking into. 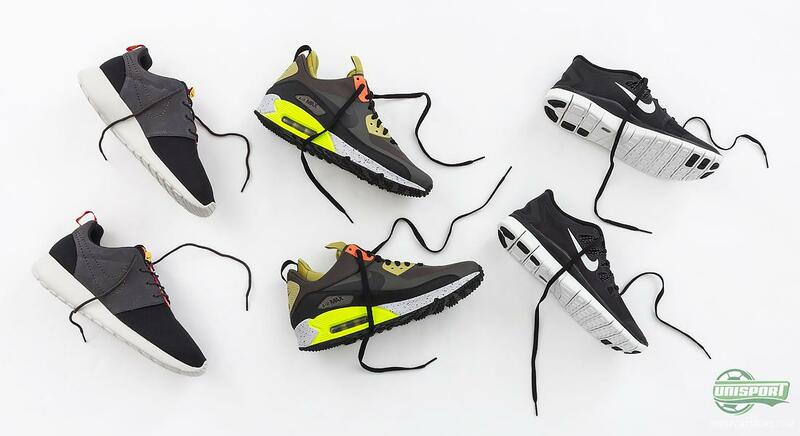 Are you looking to take on the winter cold and the slippery streets, then the Nike  Air Max 90 Sneaker boot is a stylish choice that you cannot go wrong with. 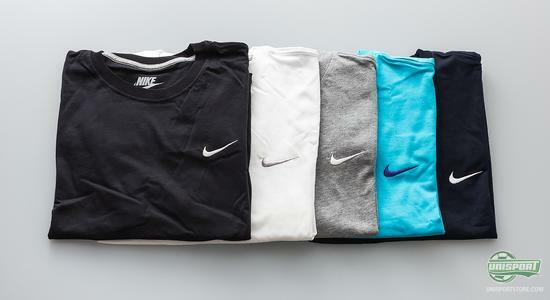 Since your average week counts 7 days, Nike have been kind enough to deliver a long range of t-shirts, so you don't have to wear and tear the same t-shirt every day. If you are into to the simplistic and elegant look you may wanna look into the various Nike Swoosh t-shirts, which generally provide two things: An elegant colour and the classic Nike swoosh. If you are into the elegant style, you would sure want a Nike  Polo, with a classic look from the combination of blue and white. Are you more into disregarding boundaries, then you wanna look towards the elegant Nike CR7 t-shirt, which displays the same style as we know from the new Cristiano Ronaldo CR7 Galaxy boot. 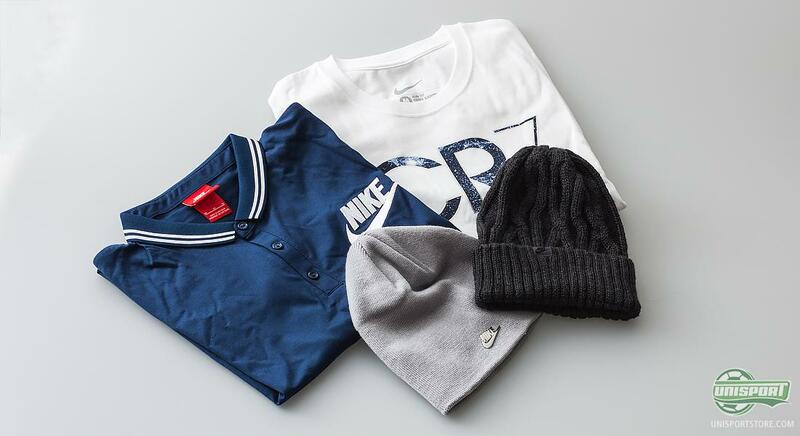 If you're unlucky and would happen to strike a bad hair-day, then there is nothing stopping you from combining the t-shirts with the super nice Nike Beanies. There is plenty of luscious gear to look into, and the common theme is the look of football. Whether it be the t-shirts, jackets or shoes that you are looking for, there is no reason to forget about football. The winter will surely bit warmer and more pleasant if you are properly dressed for the occasion. With the Nike Look of Football collection there is no reason to forget about the football style, even if the grass is far from green and the summer may seem far away. What do you think of the gear? And what would you like to have the most? As always, we would like to hear your thoughts here, or on Facebook and Twitter.